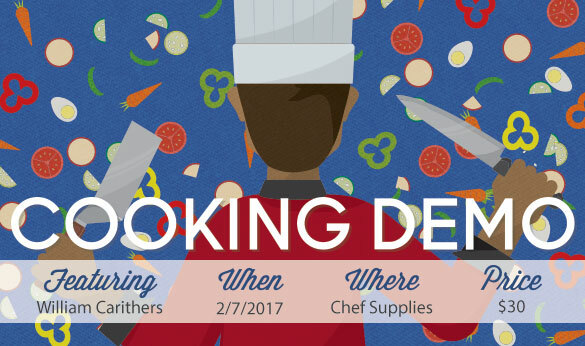 On February 7, William Carithers will demonstrate how to make multiple dishes, plus he will explain the art of butchering a beef tenderloin! Seating is limited, so be sure to book your spot soon. Hope to see you here soon!